Prenuptial agreements, signed before two people marry, and postnuptial agreements, signed after marriage, are contracts that determine what happens to each party’s individual assets and any joint assets in the event of divorce, legal separation or death. While the contents of these agreements can vary, they typically include provisions regarding property division and spousal support. If you are considering entering into one of these agreements, a skilled lawyer can help you to properly document your wishes. 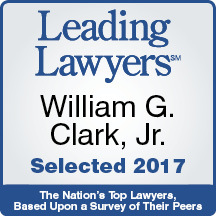 At William G. Clark Jr. & Associates, LTD., we represent people in a wide range of family law concerns, including drafting prenuptial and postnuptial agreements. Our law firm is dedicated to providing every client with a high level of professional and personal service. We will take the time to understand your situation and your needs in order to advise on the options that will work best for you. We draft and review prenuptial and postnuptial agreements for clients in Cook and Du PageCounties in Illinois and throughout the Chicagoland area. Our Chicago prenuptial agreement attorneys have a firm understanding of Illinois laws regarding these types of cases. We will help you to draft an agreement that is clear, understandable and that will be valid in court. Contact William G. Clark, Jr. & Associates, LTD. today for an appointment at 312-329-0830.